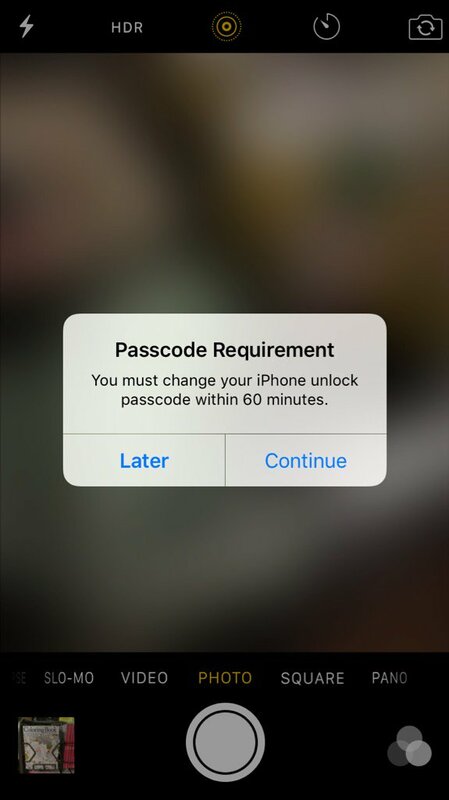 Is the message “You must change your passcode within 60 minutes” valid / non-malware? In both the above, a suggestion it may be related to a network profile, which I do not and never have had. I changed my passcode manually, but am still worried about the source of the dialog and why it appeared. Is there a definitive answer? Microsoft Exchange can force a passcode on your iPhone. Delete any configuration profile that you don't want to keep, then delete any that control passcode. If Profiles is not near the end of the list (below VPN and above Reset >) then you may have no profiles and can continue to the next step. Lastly, Exchange servers can institute a passcode requirement, so you might disable any Exchange mail accounts - temporarily removing them from the device to see if the Exchange server was sending the message or setting any requirements. I don't know if this sets a profile or not, but will edit things if I can find a reference to how this works in practice. You can choose your same pin again, but the OS will likely want to keep reminding you that a change is required until you clear the "warning". 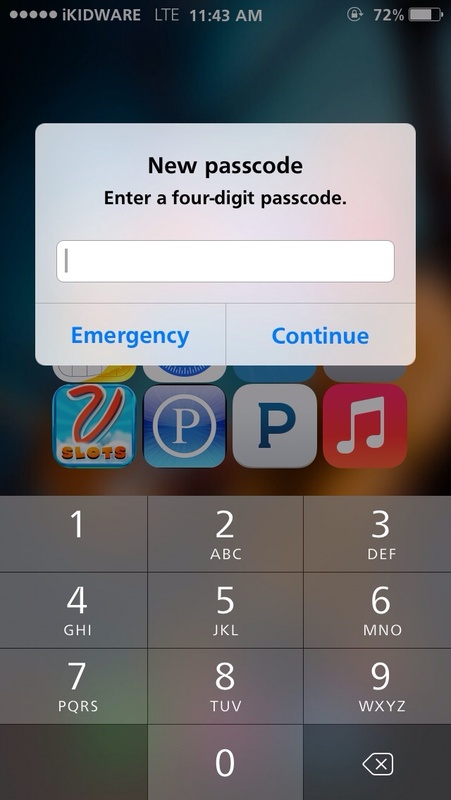 Enough people have reported that just "changing" the passcode doesn't work that something must be up. If you have jailbroken the device, I might consider rolling back to a stock iOS for a bit and choosing an entirely more complicated passphrase for a while just in case it is some phishing attempt. Just because this is considered to be very unlikely doesn't make it impossible. I had this problem tonight too. I "bit" before I thought it being malware, but it doesn't seem to have been malware. I changed my PIN and the phone reset, then the new PIN worked. BUT... the phone immediately asked for me to change the PIN again... now I was thinking Malware. I kept changing the PIN and it kept asking me to do it again. I used the tip earlier in this thread about too simple of a PIN and tried a 9 digit PIN and that worked, the message didn't return. Funny thing is that after, I was able to go into settings and set the PIN back to the 4 digit PIN that I had originally, no further messages.... yet. Not the answer you're looking for? Browse other questions tagged iphone ios security password malware .